Trips to the vet can be stressful to both owners and pets, and with so many vet clinics around these days, it can be hard deciding who to trust with your furry family’s health. Here at Monty & Minx, our goal is to provide exceptional patient care to your furry babies, as well as outstanding customer service to you as pet owners. 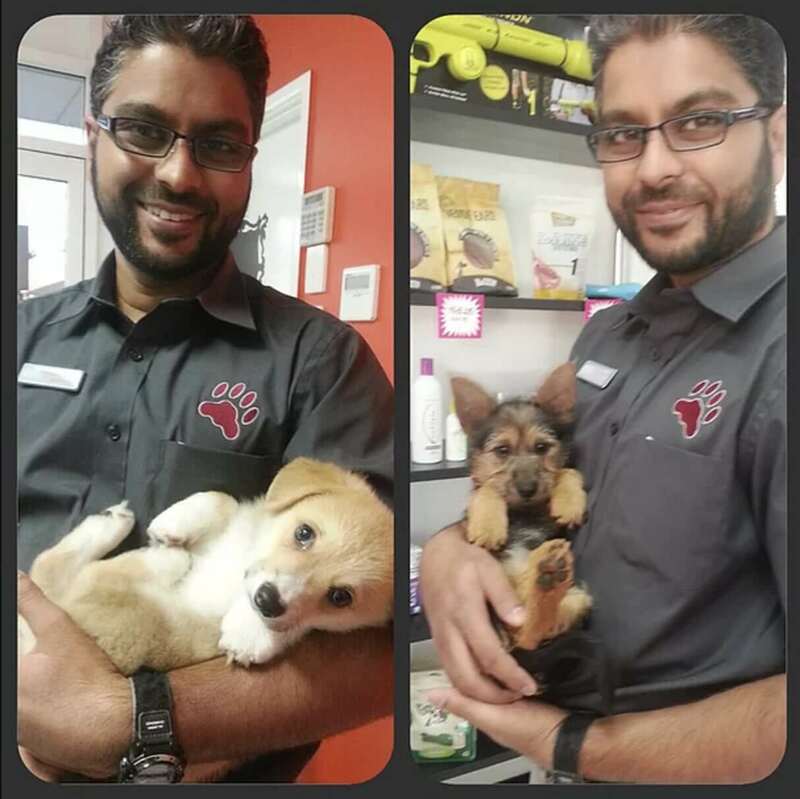 Not only do we care for and nurture your pets as though they are our own, we also strive to understand your needs as a pet owner and will do whatever we can to make sure your experience with us is a rewarding and positive one. That’s our promise to you! Shibly is Australian-born but grew up in South Africa on farmland with his family and two dogs (a German Shepherd and a Pug). After being exposed to so many different types of animals, including a lot of wildlife, Shibly decided that he wanted to dedicate his life to looking after them and their owners. He loves putting a smile on owners’ faces and knowing that he can alleviate some of the concerns they have about their furry family. After studying back in Australia, he gained his Bachelor of Veterinary Science with Honours. Shibly then spent four years working and travelling through Southern Africa and the UK, mainly looking after wildlife and pocket pets. It was at this point that he realised his passion for companion animals, and the bond between pets and their owners. This realisation brought him back home to Australia. In 2007, Shibly joined the team here at Calamvale and has never been happier! He has a keen interest in motivating his (and Monty & Minx’s) team to be the best vets and nurses they can be, and also is particularly gifted at creating an educational, fun, fair and professionally challenging work environment in which his staff can flourish. Shibly and his family currently share their home with two pets; Megs, the geriatric, diabetic and often cranky Domestic Medium Hair who they adopted and love dearly; and Yusuf, the friendly Cockatiel who was recently gifted to them. Winnie grew up in the suburbs of Melbourne, and from a young age was never without a feathered, scaled or furry friend. Thus began her love affair with animals! Ever since grade six at school, her greatest ambition was to one day be able to play an active role in improving the well-being and quality of animals’ lives. In 2002, she saw that dream come to pass when she graduated with a Bachelor of Veterinary Science with Honours from the University of Queensland. 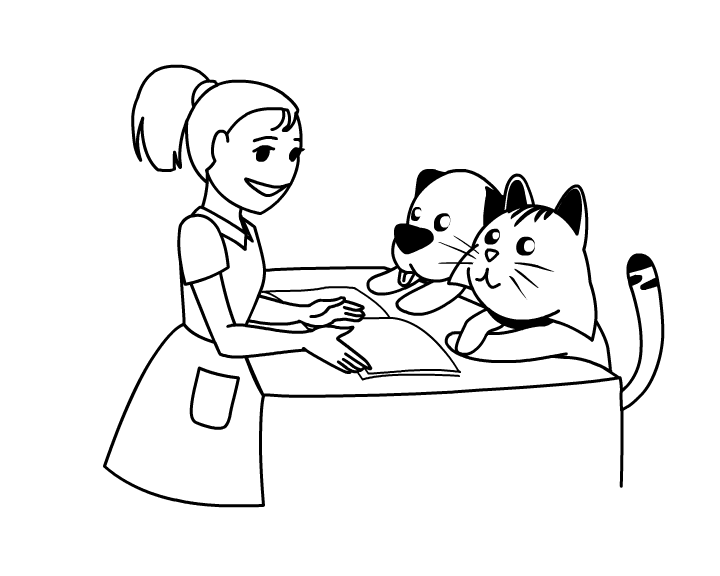 Winnie has a keen interest in surgery, but thoroughly enjoys all aspects of veterinary work. There is never a dull moment for her, and she finds it especially rewarding when an injured or sick pet is restored to health. In her spare time, Winnie loves to cook, watch movies/TV, entertain friends over a great meal, listen to music, play the piano and guitar, and sing. Winnie currently directs a church choir and sings in a band too! At present, Winnie has three pets; Kobe, a Japanese Spitz with lots of fire and a heart of gold; Sebastian, a blue and white Domestic Short Hair; and Maxamillian, a Garfield lookalike. Fiona grew up in Brisbane’s southside and still lives locally with her husband, daughter and two birds; Cocktail, the 14 year old Cockatiel; and Hamish, the energetic Budgie who loves to dance. Since graduating from the University of Queensland in 2007 with a Bachelor of Veterinary Science, Fiona has worked in small animal practices in Brisbane and its surrounding suburbs. 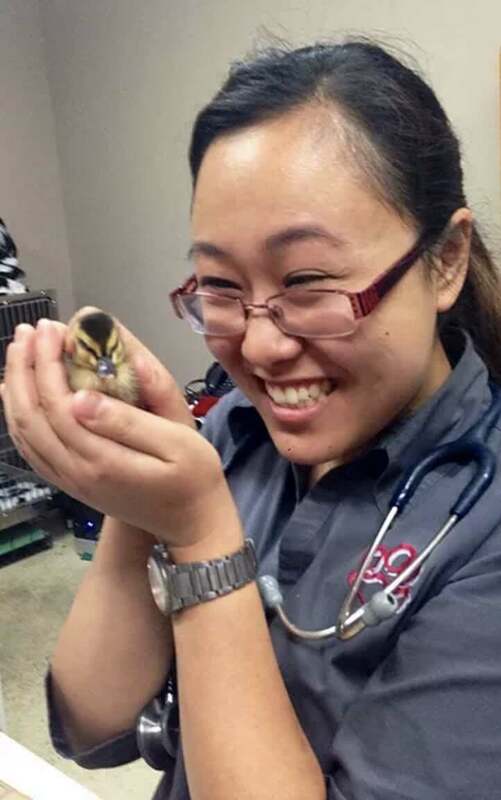 Over the years, she has developed interests in dermatology, internal medicine, dentistry, avian medicine and exotic pets. Fiona is passionate about continuing education, as well as the motto “prevention is better than cure”. As such, she feels a great sense of achievement when she can diagnose and successfully treat diseases in their early stages so that her furry patients can have long, happy lives with their families. In late 2014 Fiona became a mother to her first child Cianna, aside from being a Mum in her spare time she loves to serve actively in her church, relax with her husband and furry family, go horse riding and she speaks Cantonese – fluently! Candice has been with us for nearly a decade now and she still loves every minute of her time here! She has completed a Business Management course in addition to completing her Certificate IV in Veterinary Nursing, and loves to continue learning new aspects to the field. Candice has a special interest in emergency and critical care, radiology and general patient care. She firmly believes that in order to be an outstanding nurse, you have to push your boundaries and make challenges for yourself. In doing so, she has become an amazing asset to our team, as well as to our clients and their furry kids! Candice currently has three pets; Bailey, the red and white Border Collie; Lexi, the chocolate and white Border Collie and Avah, the lilac and white Domestic Short Hair. Katreena is a Cert 4 level experienced Nurse Katreena Craig (pet name – Kat). 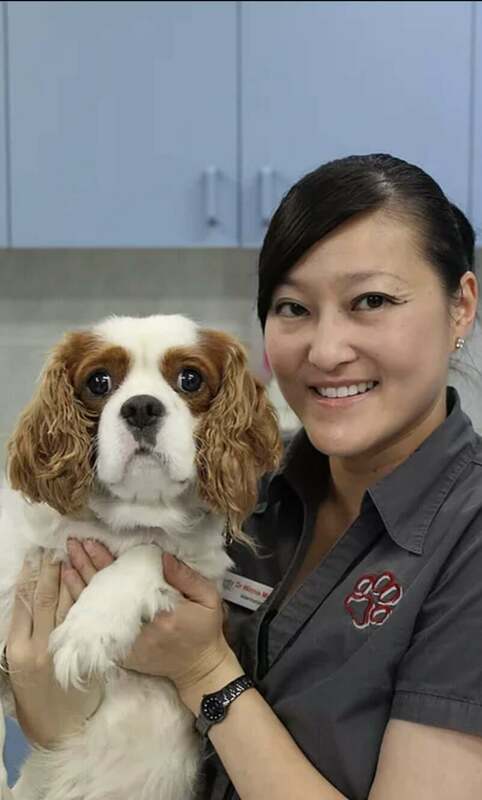 Katreena has worked at vet clinics in Brisbane for many years. She is a dedicated pet-owner, is meticulous about cleaning and organisation and has a real eye for detail. Her incredible dedication and passion for work is demonstrated in the care that she gives every patient. Kat has a menagerie of animals, and has recently moved to a larger property to house them all!